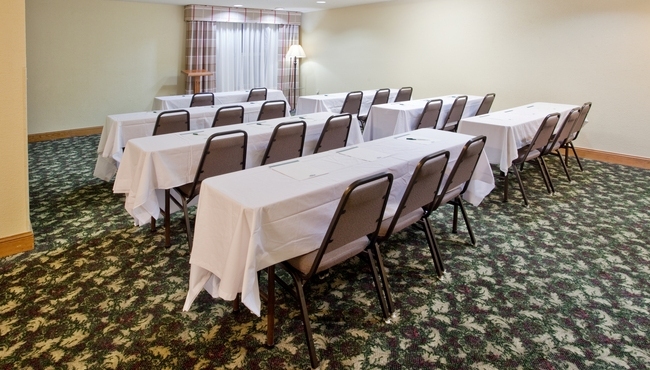 For corporate events, training seminars and social get-togethers with up to 30 guests, the flexible meeting room at the Country Inn & Suites, Hiram is an ideal choice. Our friendly, knowledgeable staff is happy to create a personalized Web page for your event, and on-site amenities like free Wi-Fi help keep attendees engaged in your presentation. For more casual events, reserve the hotel’s inviting breakfast room or the relaxing pool area. Ask about catering recommendations and planning assistance to make your event even more memorable.